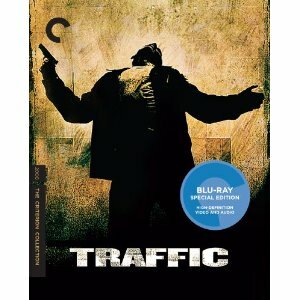 WorldMovieStore - Traffic Sinopsis. Featuring a huge cast of characters, the ambitious and breathtaking Traffic is a tapestry of three separate stories woven together by a common theme: the war on drugs. In San Diego, a drug kingpin (Steven Bauer) is arrested on information provided by an informant (Miguel Ferrer) who was nabbed by two undercover detectives (Don Cheadle and Luis Guzmán). Utilizing the no-frills techniques of the Dogme 95 School, Soderbergh enhances his hand-held filming with imaginative editing and film-stock manipulation that eerily captures the atmosphere of each location: a washed-out, grainy Mexico; a blue and chilly Ohio; and a sleek, sun-dappled San Diego. But Traffic is more than a film-school exercise. --Mark Englehart. Read More Sinopsis. 0 Response to "Blu-ray Release Traffic"